V.I.A. is an experimental quartet formed by the members of Granny Records label, Savvas Metaxas, Spyros Emmanouilidis, Vasilis Liolios, and Aris Gkiatas. Constantly moving between silence and intense noise, V.I.A. use modular and analog synthesizers, no-input console, field recordings and percussion sounds to create complex soundscapes. Yannis Kotsonis explores the limits and intersections between improvisation, sound art and electroacoustic composition, to construct variable, complex sonic events. 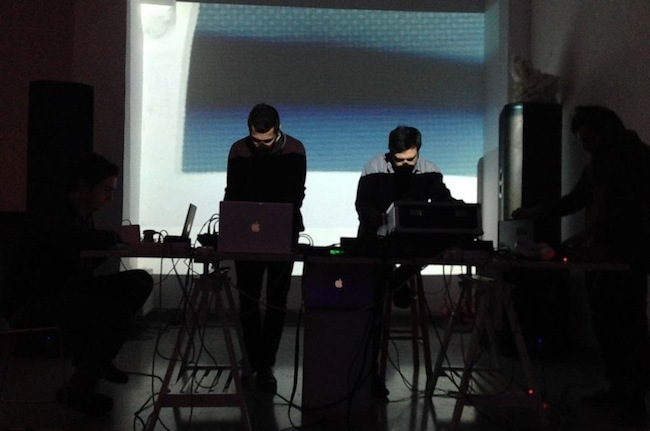 Ηis pieces incorporate disparate sound materials including concrete sounds, malfunctioning devices, field recordings, feedback and software synthesis. 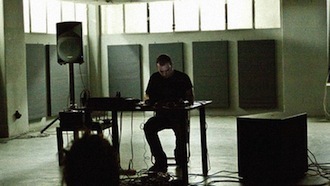 Since 2005 he has released several stylistically diverse albums under the alias Sister Overdrive, and has been active as an improviser in several different small and large group configurations, most notably in the improvising duo ‘acte vide‘ with Danae Stefanou. He has worked as a musician and sound designer for theatre, film, video dance and multimedia installations and is active as a curator and workshop / residency coordinator for events focusing on improvisation, field recordings and site-specific sound art. 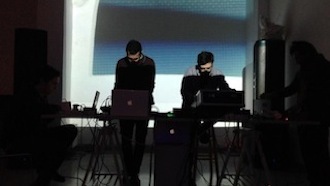 Granny Records is a record label founded in Thessaloniki, Greece publishing works by contemporary electronic musicians. Moving in the range of free improvisation, noise, electroacoustic composition and contemporary electronica Granny Records aims to highlight the sound works of experimental international and Greek artists. Formed in 2008, Granny has released 17 editions, the majority of which was implemented under the graphic design of Yorgos Vourlidas, whose work evolved as a trademark of the label’s identity. Granny also supports acts of innovative artists by organizing concerts, exhibitions and workshops in numerous cities hosting artists like Jason Lescalleet, Lucio Capece, Nicola Ratti, Giuseppe Ielasi, Nikos Veliotis, Eric Thielemans, Giovanni Lami, Greg Haines, Black to Comm etc.